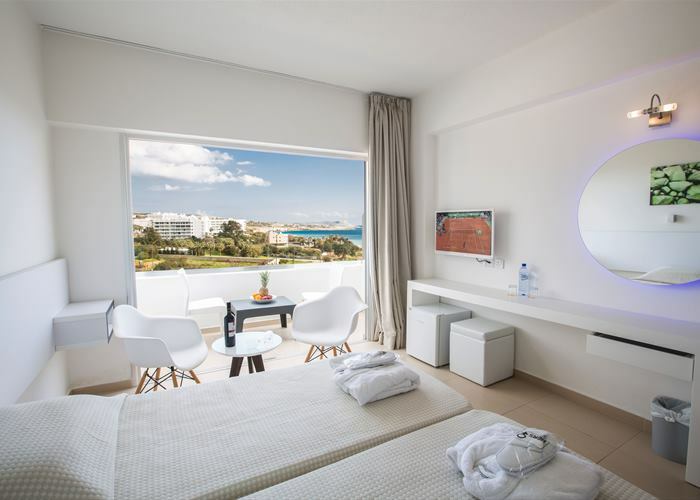 The comfortable Atlantica Sancta Napa Hotel is well positioned in the resort centre of Ayia Napa, close to all attractions, local shops, bars, cafes and restaurants. Only 100 m away from the beautiful white sandy beach the hotel is also close to a range of options for an exciting day and night of activities. Free WiFi and air conditioning for your comfort. Pool or Sea View. 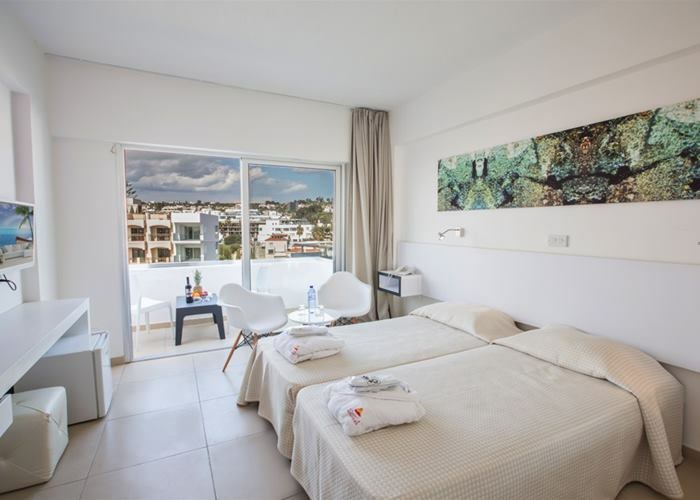 You’ll find all the essentials like a mini fridge, TV, Free WiFi and air conditioning for your comfort. air conditioning for your comfort. 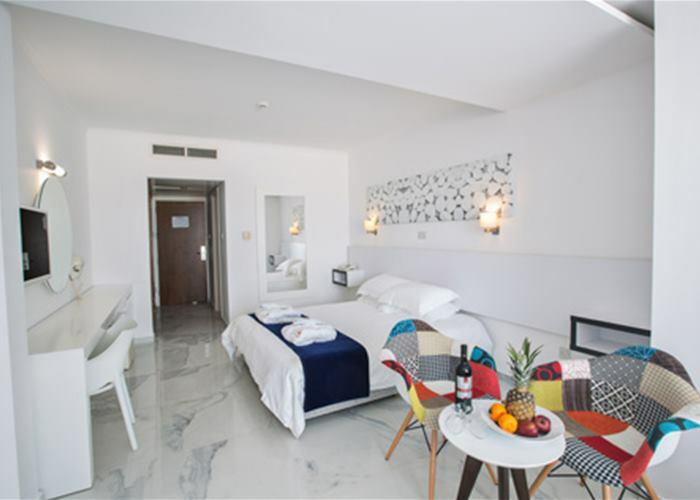 When it comes to the Superior Rooms, each of them carry a modern feel and come with twin or double beds, sleeping up to 3 people. 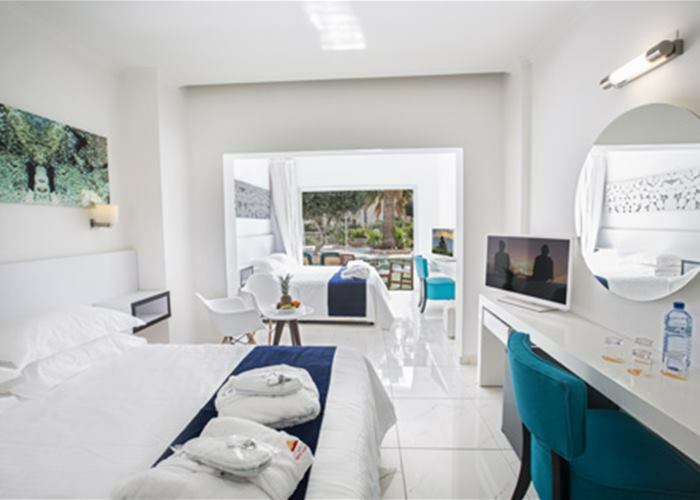 You’ll find all the essentials like a mini fridge, TV, Free WiFi and air conditioning for your comfort. and air conditioning for your comfort. This rooms come with Inland View, Pool View or Side Sea View. 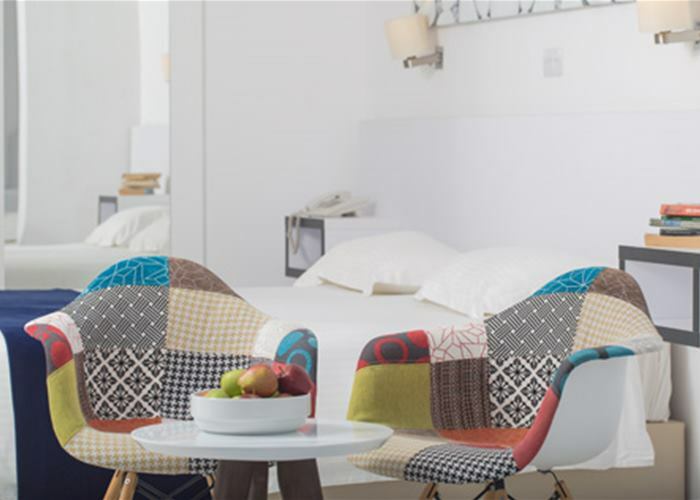 Relaxation is right at your fingertips with this spacious room choice that is decorated in a modern contemporary style. Rooms sleep up to 3 with Twin or Double bed. 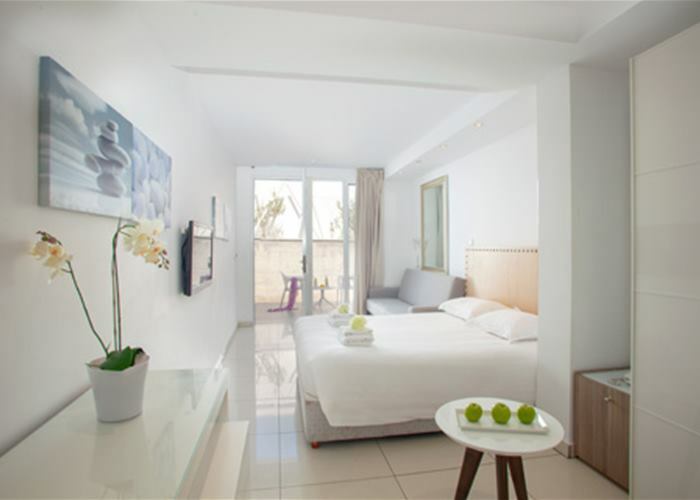 The rooms are complete with all the essentials like a mini fridge, TV, Free WiFi and air conditioning for your comfort.